Celebrating the holidays is the focus for many of us right now, especially when it comes to spending. You don’t want to overspend this month and enter the New Year feeling frazzled about your finances. Smart spending is key when it comes to celebrating the season without spreading your hard-earned dollars too thin. 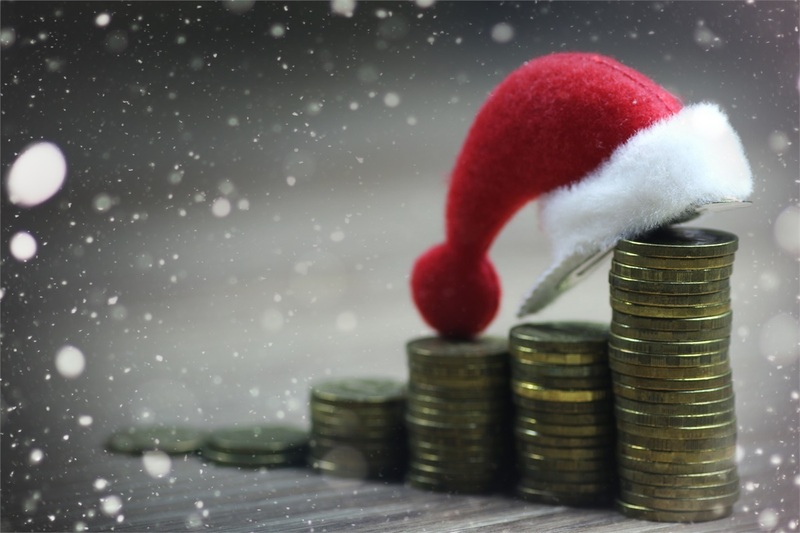 But, there are plenty of posts and articles full of sage advice from financial services professionals, regarding how to strike the balance between Santa and Scrooge. What I’m concerned about this time of year has less to do with spending and more to do with saving. As the weather turns colder and temperatures become unpredictable (no matter which weather channel you tune into), you need to have an emergency fund squirreled away to get you and your family through any unforeseen issues, seasonal or otherwise. Here, I address the three basic questions I am most often asked about emergency funds: When do I need to rely on an emergency fund, how much do I need in my emergency fund, and where do I keep it? As crazy as it sounds, some folks do need to be reminded that an emergency fund is not the same thing as a college savings fund, a new car fund or any other type of expense other than one incurred unexpectedly because of an emergency. A good example this time of year might be a sudden temperature drop that froze your pipes, which burst while you were away visiting relatives for the holidays. Or maybe on said trip over the river and through the woods to grandma’s house, icy conditions resulted in costly damage to your vehicle. Whatever the case might be, the point is the money put into your emergency fund is money you’re not imagining how to spend because you don’t know what type of emergency might befall you. And, whatever you do take out of this account, you’ll need to replenish. A precious few of us go through this life without incurring unexpected expenses a time or two...or even more. Always have your emergency fund ready. The amount of money you should set aside in case of an emergency depends on your personal reality, regarding your lifestyle, your spending habits, monthly expenditures, how much you make, and the number of people in your household who are depending on you, financially. Once you have a sense of that monthly expenditure, you should plan to set aside three to six times that amount. Sure, this might seem overwhelming, particularly in light of any challenging circumstances surrounding your employment, or perhaps an extra dependent you weren’t counting on, like an ailing parent or even a new baby. But, as the Chinese philosopher Lao Tzu wisely observed, “The journey of a thousand miles begins with one step.” In other words, start small. Set aside a little bit of money every week in order to see your emergency fund grow faster than you think. When you start to put these savings aside, you’ll want to do so in the most advantageous place. This is not under your mattress, in a shoebox, or a Mason jar. No, in this case, consider an interest-earning savings account, like a money market account, which you can dip into, tax-free and without penalty. Why not store your emergency fund in stocks? Simply because, should you need that fund unexpectedly - the very definition of an emergency - your money could lose value. Shuttle your emergency fund into an interest-earning bank account and let the gift of time help it grow.